On January 22, 2015, Pope Francis, in a private audience with Cardinal Angelo Amato, S.D.B., authorized the Congregation for the Causes of Saints to promulgate the Decree on the Heroic Virtue of the Servant of God, Aloysius Schwartz. The Decree gives him the title of “VENERABLE”. 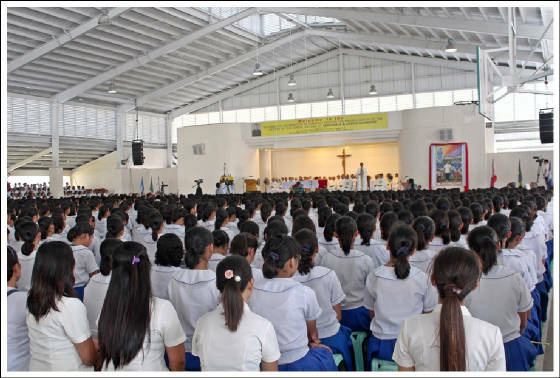 On March 14, 2015, the Sisters of Mary and the Brothers of Christ, congregations founded by the Servant of God, held a Thanksgiving Mass in the Philippines for this great blessing to their congregations and the hundreds of thousands of beneficiaries and benefactors of the charity programs started by Venerable Al. 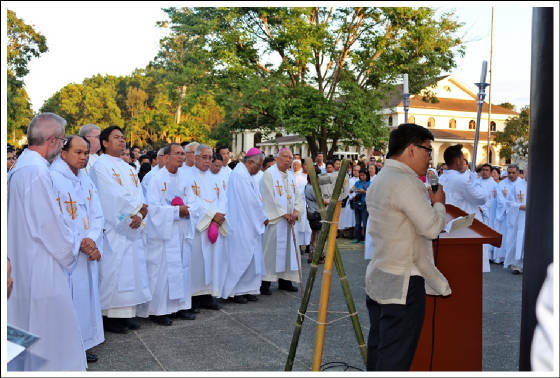 His Excellency Archbishop Jose S. Palma celebrated the Thanksgiving Mass in Cebu with 7 priests. Seoul, South Korea. 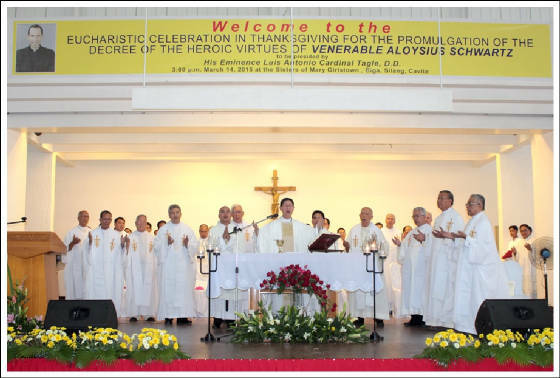 On March 28, 2015, Thanksgiving Mass for the Promulgation of the Decree on the Heroic Virtues of Fr. Al was held at the Myeongdong Cathedral in Seoul. Cardinal Andrew Yeom with Apostolic Nuncio H.E. 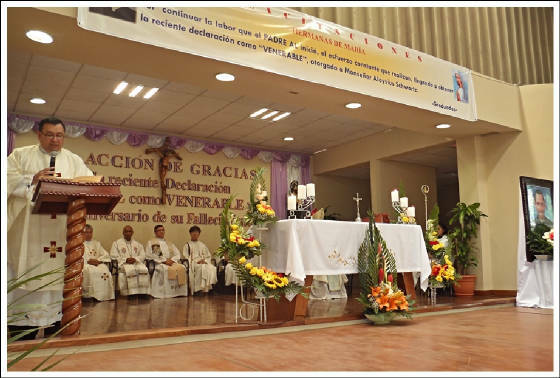 Osvaldo Padilla, 3 other bishops and about 30 priests concelebrated the Eucharistic Celebration. 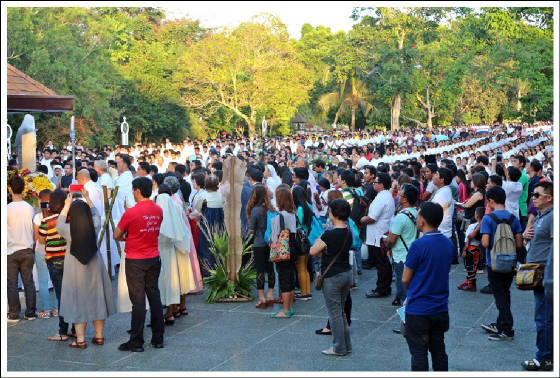 More than 1,200 attended the Mass. Busan, South Korea. In Busan, where the missionary life of Venerable Al started, the Thanksgiving Mass presided by Fr. 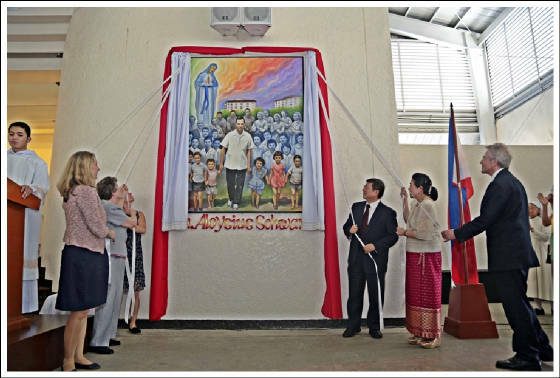 Alexio Kyeong was attended by more than 1,000 people. Mexico. In Jalisco, H.E. 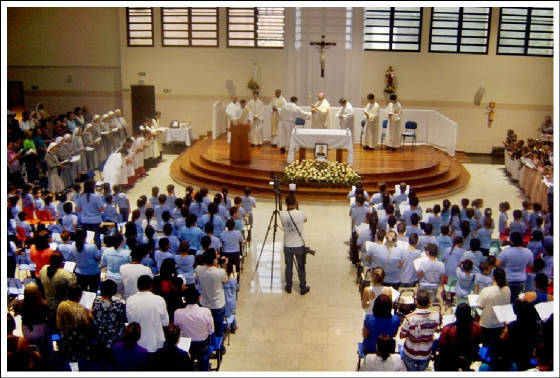 Jose Francisco Cardinal Robles presided the Holy Mass together with 8 priests attended by 2,300 children, graduates and benefactors on March 16, 2015. 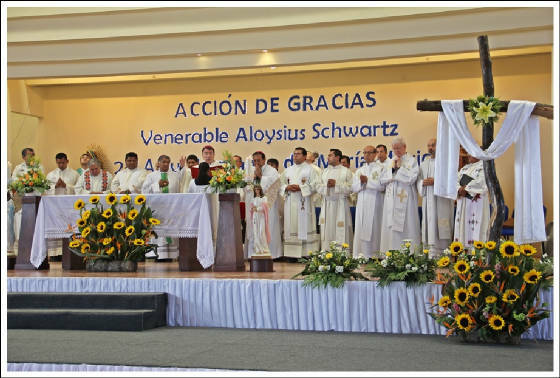 In Chalco, the Eucharistic Celebration to thank God for the Promulgation of the Decree, and at the same time, for the 25th anniversary of the foundation of Ven. Al’s Mexican programs, his “unfinished symphony” was held on April 16, 2015. 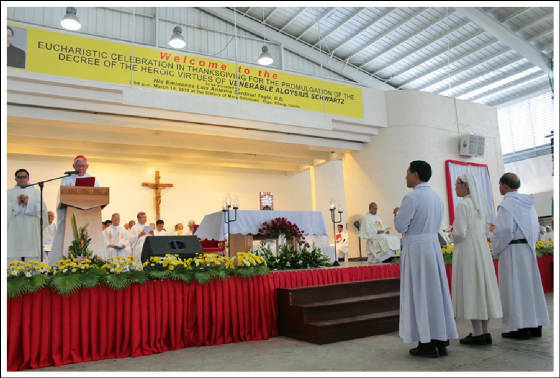 The Mass was presided by the Apostolic Nuncio, Msgr. Christophe Pierre accompanied by Chalco Bishop, Most Rev. Victor Rene Rodriguez and the Bishop of Nayarit, Most Rev. 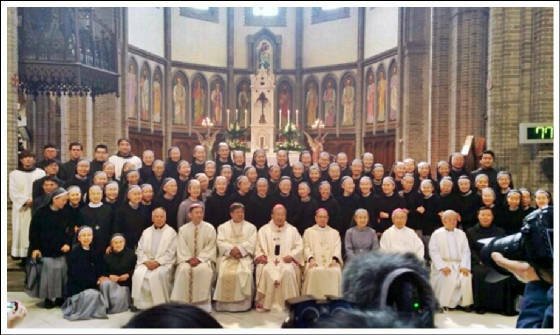 Luis Artemio Flores and 23 priests (3 of whom are graduates of Ven. Al’s Boystown). Guatemala. 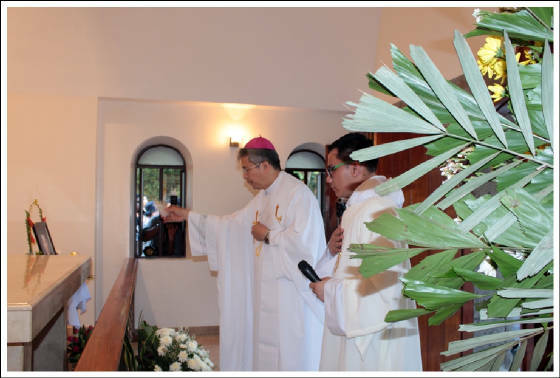 The Papal Nuncio to Guatemala, His Excellency Nicolas Thevenin, celebrated the Mass with several other priests at Zona 6 on March 15 and 16, 2015. He also presided the Mass at Zona 13 together with 10 priests from different countries and one of Boystown’s graduate-priest. Brazil. 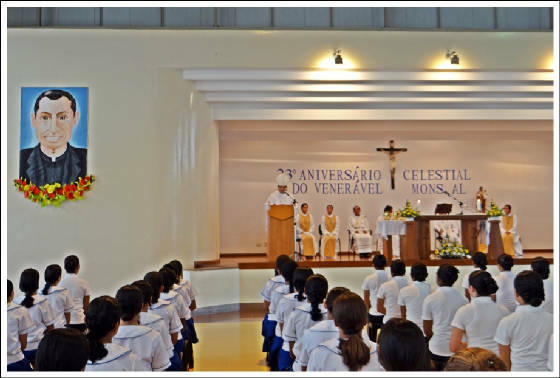 In Brasilia, The Mass was celebrated by Bishop Bishop José Aparecido Gonçalves de Almeida, Auxiliary Bishop of Brasilia with two priests and one deacon. Various Girlstown graduates and friends of the Sisters of Mary also joined the celebration on March 16, 2015. In São Bernardo, Bishop Nelson Westrupp, SCJ was the main celebrant of the Mass, concelebrated by 6 priests. There were around 400 visitors and 250 children. Honduras. 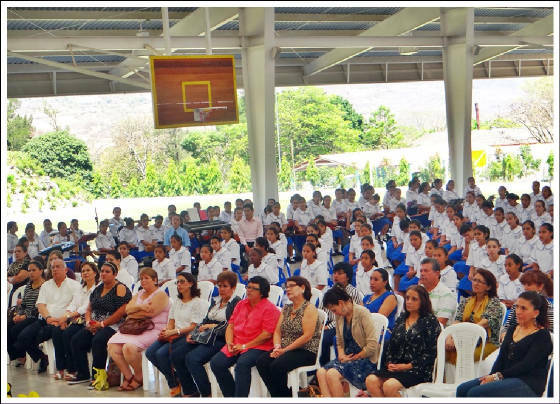 In Tegucigalpa, the Mass was presided by Msgr. Darwin Andino, bishop of Sta. Rosa. United Arab Emirates. The celebration reaches to the faraway U.A.E. 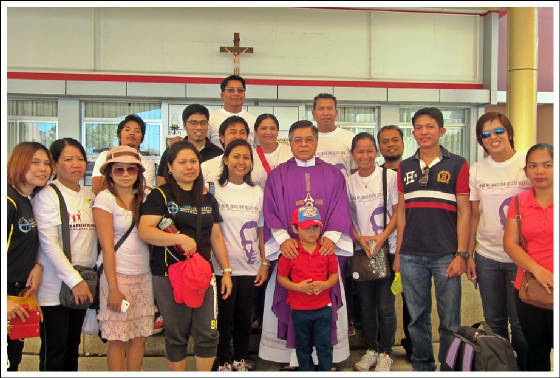 Thanksgiving Masses were held in Dubai and Abu Dhabi presided by Fr. Chito, OFM Cap and Fr. Troy, OFM Cap respectively. 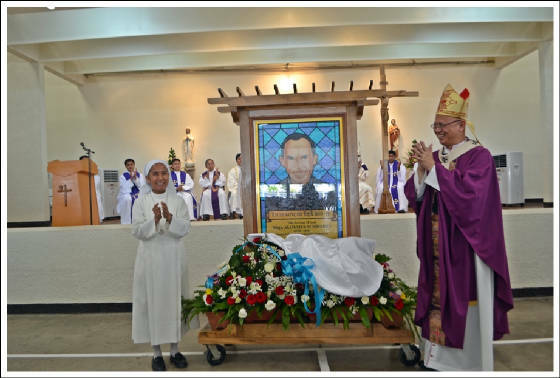 The Alumni of the Sisters of Mary Schools were all thrilled that they have a spiritual father, now a Venerable, who continues to guide and protect them, wherever they are. They all attribute their success in life through the intercession of Father Al. Masses were celebrated or at least, those who could not join as a group, attended mass and are reminded that they too must imitate Father. Al, who answered God’s call to holiness in a heroic way. 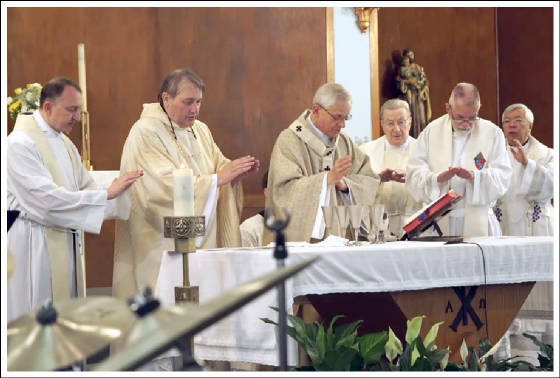 U.S.A. On June 7, 2015, Cardinal Donald Wuerl came to Holy Name of Jesus Parish in Washington D.C. and celebrated a Mass of thanksgiving for Venerable Msgr. Aloysius Schwartz on the Solemnity of the Most Holy Body and Blood of Christ (Corpus Christi). Holy Name Parish is where Fr. Al was baptized, confirmed, received First Holy Communion, served as altar boy, and where Schwartz Family attended Sunday Masses.